Women who have C-sections may now have less to worry about. Hey buddy! Don’t let your mom obsess over these C-section studies, OK? As the rate of C-sections has risen in the United States, so has the rate of maternal guilt. Many women worry, often unjustifiably, that having the procedure somehow signals a failure to properly advocate for themselves in an insensitive and paternalistic medical system. Then there’s the distress that women who undergo C-sections may increase their baby’s risk of developing a chronic disease later in life. But new research suggests that for mothers who labored a little before the C-section, there’s less reason for concern than previously thought. The New York Times recently reported on a study from Scotland that found that babies who are born by planned C-sections are more likely to encounter health problems than those delivered by emergency C-sections. Currently, the rate of C-sections in the U.S. is 1 in 3, only around 2.5 percent of which are planned. Researchers relied on Scotland’s well-organized birth and medical records to track the long-term health of 321,287 children. Of these, 17 percent were unplanned C-sections and 4 percent were planned ones. They looked for a connection between the procedure and the development of chronic health issues like Type 1 diabetes, asthma, irritable bowel syndrome, and obesity. The found that babies born via scheduled C-sections had a 35 percent higher risk for Type 1 diabetes than those born via emergency C-section. The data did not reveal any definitive link between C-sections and obesity, cancer, asthma, or irritable bowel syndrome. Now, even as these findings should offer some relief to parents of C-section babies, they also underscore how the difficult and messy experience of vaginal labor does appear to do the little ones good. Why? Doctors aren’t entirely sure. Obstetrician Dr. Aaron Caughey told the Times that it might have something to do with the way in which the onset of labor helps clear fluid from the baby’s lungs. It also could be a result of the baby’s exposure to labor-induced surges of hormones like oxytocin, something that planned C-section babies miss out on. According to the Times, these “may help the fetus adapt during labor, preserve blood flow to the organs, and keep the baby alert and prepared for breast-feeding.” The health benefits of labor also likely come from the immune system–boosting bacteria the baby is exposed to after leaving the pristine quarters of the amniotic sac. There’s plenty of good reasons to keep working to reduce the C-section rate, something that will only happen when we manage to undo the various institutional and cultural causes behind it. 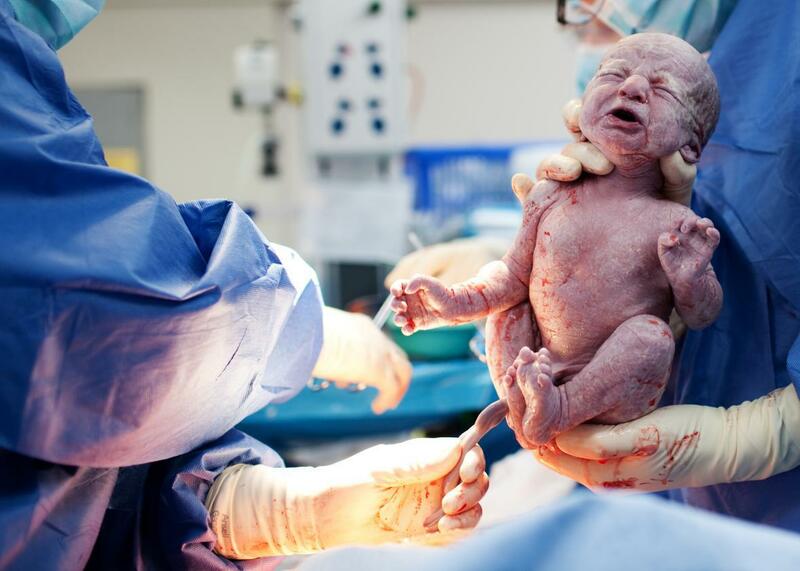 In the meantime, C-section moms now have another good reason to ditch some of that guilt.